It takes a great team to deliver great service – and that’s exactly what Belle Isle Awning has to offer. Whether at the front desk, at your home or business, or behind the scenes, you’re always dealing with skilled, highly trained professionals who are committed to being the best at what they do – and to your complete satisfaction. 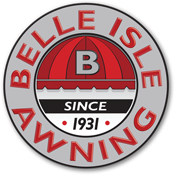 Belle Isle Awning’s sales representatives have an exhaustive knowledge of the awning business. Our reps aren’t just here to sell product – they’re here to help you choose the options that will provide the greatest satisfaction and value. Caring makes the difference, and our installers treat your home or business as if it were their own. Our installers strive to perform your installation quickly and flawlessly with the least amount of disruption possible – and to leave your premises looking completely undisturbed afterwards. Best in Field Graphic Art Dept. Our outstanding graphics professionals have the skill it takes to turn your dream design into a reality, whether through high-tech digital printing or hand-painting. Each of our artists is highly trained and thoroughly experienced, and they’ll make certain that your finished awning looks fantastic. Some of the most important work on your awning happens behind the scenes, where our skilled fabricators and welders precisely form its frame. Meticulous craftsmanship, attention to detail, and extensive experience enable our people to construct strong, durable superstructures that are built to last.